Florzinho is back with a brand-new release, which shows his tremendous diversity as the new single "I'll Always Love You" is digging into the styles of R&B, Soul, Funk, seasoned with a big spoon of Pop music. Together with longtime partner and vocal diva Debbi Blackwell-Cook aka Ma'Devaah, he created a stunning manifesto for love and higher consciousness. The song was written together with Ma'Devaah, while she was overcoming the death of her son D'Rock Jefferson-Cook, who was killed in a gun shot in New York. Having to deal with his absence from the physical plane, Ma'Deevah expresses all her love and trust that no matter if dead or alive, we are all connected and simply have to focus on the here and now. The main message is that "love will set you free and that we shall all live life in a peaceful way". Besides the Original Mix, the single features the instrumental as well as the acapella version. 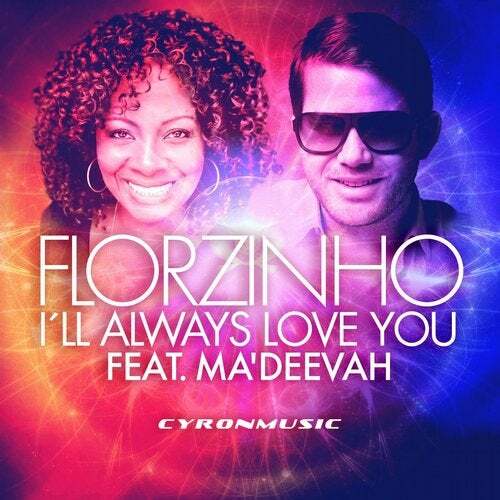 On top, Cyron Music has added one of the first songs Florzinho & Ma'Devaah did create back in 2005. "Take Me Higher" is a groovy soulful R&B masterpiece that is now remastered and re-released.